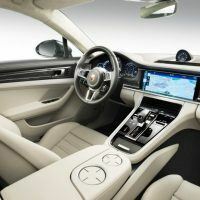 Recently, Porsche unveiled the second-generation of the Panamera 4-door sports coupe and I have to admit, this one looks a lot better than the first-generation model, both inside and out. The new Panamera is wider, longer, lighter, and taller than the current model. 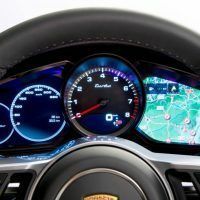 The 2017 Porsche Panamera rides on Volkswagen Group’s new MSB platform. Most of its body panels are constructed of aluminum, which reduces the overall weight by almost 200 pounds. 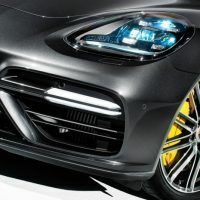 Less weight, combined with a new adaptive air suspension and rear wheel steering (from the 911 Turbo and the 918 Spyder) should make the new Panamera handle much better. 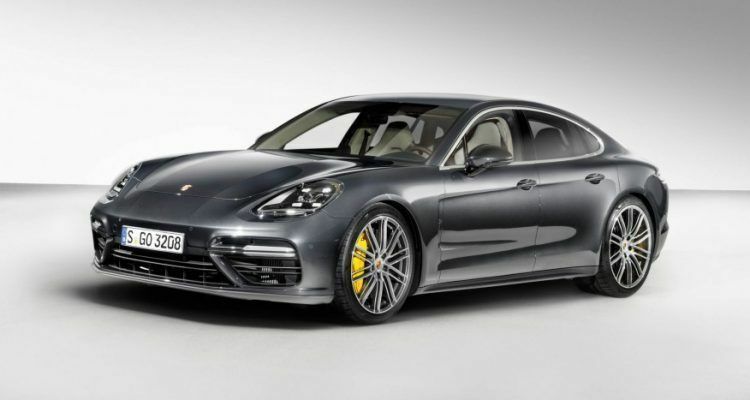 Compared to the 2016 model, the new Panamera is 1.3 inches longer at 198.8 inches, 0.2 inches wider at 76.3 inches, and 0.2 inches taller at 56 inches. 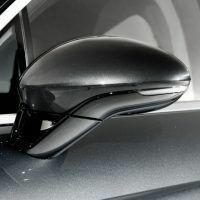 However, Porsche points out the roofline’s tail end is 0.8 inches lower than the first-gen model. The second-generation Porsche Panamera shares none of its body panels with its predecessor. The new Panamera gets a redesigned front fascia along with wider air intakes and wider fog light surrounds. The side profile remains elegant, but the first-generation’s hunchback silhouette has been replaced with a more pleasing coupe-like shape. The rear fascia has also been redesigned with slimmer LED taillights. 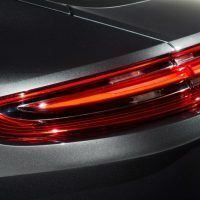 Both Panamera models feature a center light strip which connects the rear taillights. The third brake light is mounted at the top of the roof for better visibility. 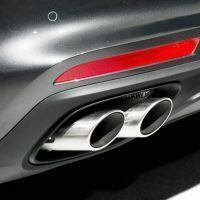 Quad exhaust tips are standard on both Panamera 4S and Turbo models. 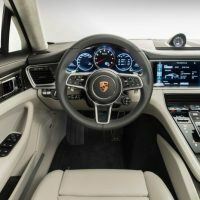 Porsche does away with the current Panamera’s row of buttons, replacing them with capacitive, touch-sensitive controls and toggle switches. 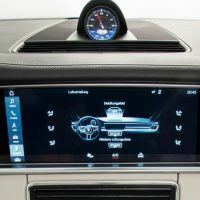 The new instrument cluster features a center mounted analog tachometer, which is surrounded by two 7-inch digital screens. The steering wheel is redesigned and borrows styling elements from the 918 Spyder, including its rotary mode switch drive selector. 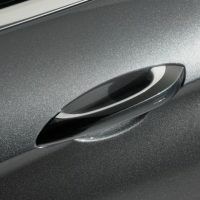 It also includes a Sport Response button that activates the turbo overboost function. 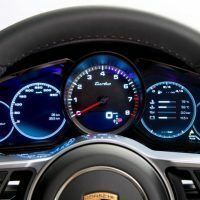 The 2017 Porsche Panamera features three new engines – all of them backed by a new eight-speed PDK dual-clutch automatic transmission. 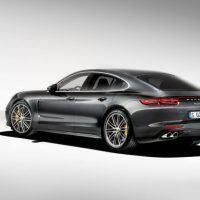 The 2017 Porsche Panamera 4S will be the first to arrive at European dealerships, powered by a new, 2.9 L twin-turbocharged V6, with 434 horsepower and 406 lb-ft torque. It produces an additional 14 horsepower and 22 lb-ft torque compared to the 3.0 L supercharged V6 in the current Panamera 4S. With the optional Sport Chrono Package, Porsche claims the 2017 Panamera 4S will launch to 62 mph in 4.2 seconds. 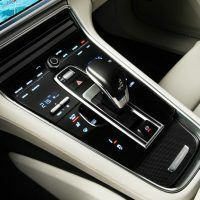 If that’s not enough, customers with a heavy right foot can soon opt for the all-wheel-drive Panamera Turbo. The 2017 Porsche Panamera Turbo packs a new 4.0 L twin-turbo V8 with 542 horsepower and 568 lb-ft torque. With Sport Chrono Package, the Panamera Turbo will sprint to 62 mph in 3.6 seconds. 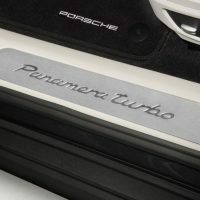 The Panamera Turbo also features Porsche’s first-ever Adaptive Cylinder Control (Porsche speak for cylinder deactivation), which deactivates four cylinders under light driving conditions. 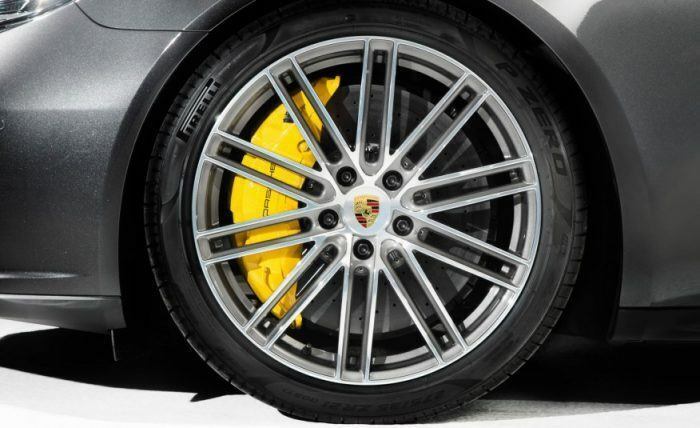 Porsche claims it reduces fuel consumption by 30 percent. Also new for the Panamera Turbo is an active rear spoiler that splits and widens to create more surface area for maximum downforce. 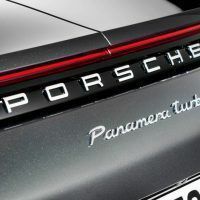 Standard Panamera models also get an active rear spoiler, but it is not as sophisticated as the one on the Panamera Turbo. Both petrol engines house their two turbos inside the “V” of the cylinder banks, instead of the traditional location, which is closer to the bottom of the engine. This turbo layout results in a more compact engine which can be mounted lower for better balance and center of gravity. 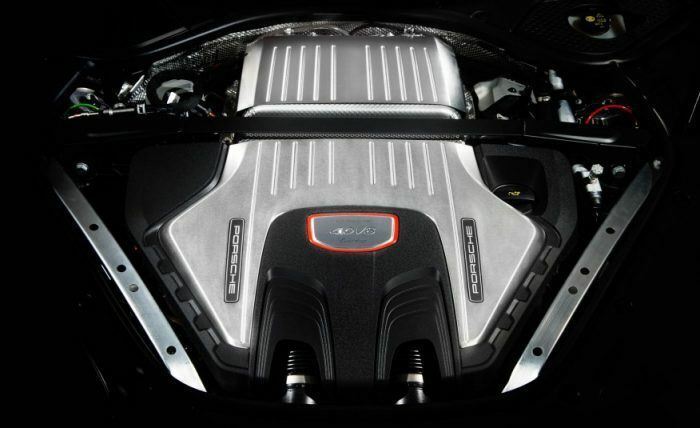 European customers can get a twin-turbo diesel V8, producing 416 horsepower and a stomach-twisting 627 lb-ft torque. Chances of the diesel engine arriving stateside are slim to none, unless Volkswagen sorts out its issues with the U.S. Government. Stopping the 2017 Porsche Panamera should be a breeze. 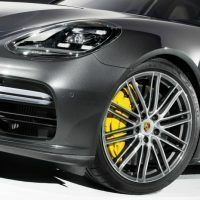 The Panamera 4S is fitted with massive, steel disc brakes on both axles, but customers can upgrade to carbon-ceramic units for enhanced stopping power. The 2017 Panamera Turbo comes standard with carbon-ceramic brakes. The 2017 Porsche Panamera 4S will arrive at European showrooms this fall. 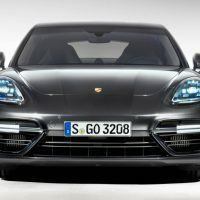 The new Panamera is expected to make its U.S. debut at the Los Angles Auto Show in November, and should go on sale shortly thereafter. 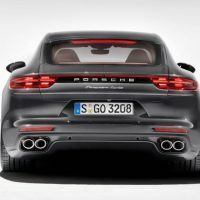 No Comments on "First Look: 2017 Porsche Panamera"